For over 15 years, Kohler Overhead Doors Inc. has been the premier provider of residential overhead doors to Delavan, WI and the surrounding areas. We specialize in the sale, installation, repair and service of overhead doors and pride ourselves on our familiarity with all major manufacturers and brands, to guarantee exceptional service for every client we work with! When it comes to garage doors, no one even comes close to Kohler Overhead Doors Inc. For more than a decade we’ve been in the business of providing nothing short of superior sales, service and repairs for overhead doors of all types and as a result, we’ve become the most respected name in the area for anything and everything involving garage doors. From fielding simple inquiries regarding the full gamut of overhead door models, to performing complex and sustainable garage door repair in Delavan, WI, trust that Kohler Overhead Doors Inc. is here for you in any capacity you or your overhead door might need us. Contact us today and ask about our 10% senior discount! 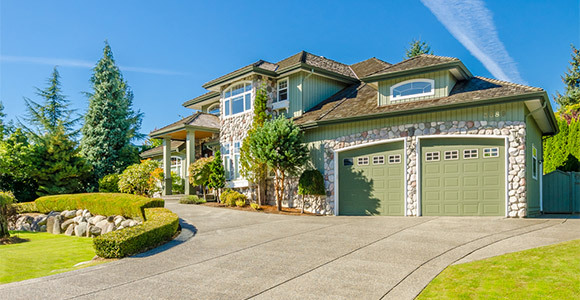 We have more than 30 years of professional garage door experience behind us. We’re a highly recommended member of Angieslist. We proudly serve Walworth County, as well as Western Racine and Kenosha Counties. We’re the leading experts in overhead door and garage door opener sales in Delavan, WI. Whether you’re in the market for a brand new overhead door or you require a professional’s keen eye for garage door opener repair in Delavan, WI, know that Kohler Overhead Doors Inc. is here to help!